So here goes nothing, my first giveaway on the blog, and it’s a big one. Wish me luck, and to you as well. 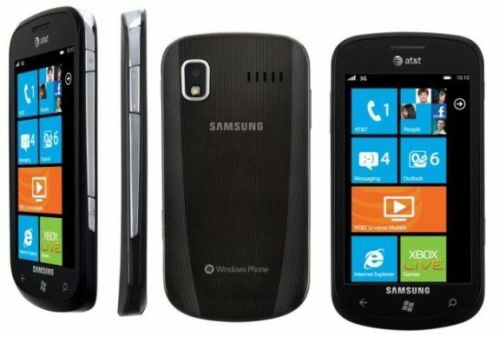 The Samsung Focus is a Windows Phone 7. It does all the things a smart phone should do, besides brew coffee. Wouldn’t that be cool? If you want a full list of the specs and features, head on over to Samsung’s website and check it out. Now, for how you’ll enter the contest. *Note: Contest only open to people living with in the USA. That’s the 50 states. Main reason for that, is I pledged my allegiance to the USPS and their flat rate shipping. So, sorry all my international friends. Maybe next time. Like: The Sea of Geek facebook fan page. Subscribe: Sign up to receive an email update every time there’s a new post from the sea of geek. Important (This completes your entry): After following, tweeting, liking, subscribing, or any combination of the above, leave one comment below for each method of entry, listing said method and your name for verification. If you list multiple entries within one comment it will only be counted as one entry. If you’re doing the math, there is a maximum of 4 entries per person. There you have it people. Get those entries in because I’ll only be accepting them until Monday January 30th 2012 at 11:59 pm EST. I’ll contact the winner by the winning entry method to obtain their shipping address.